Education Studies Professor Thandeka Chapman; student scholarship honorees Malik Gilbert and Denasia Gaines; and Edwina Welch, Director of the UC San Diego Cross-Cultural Center. 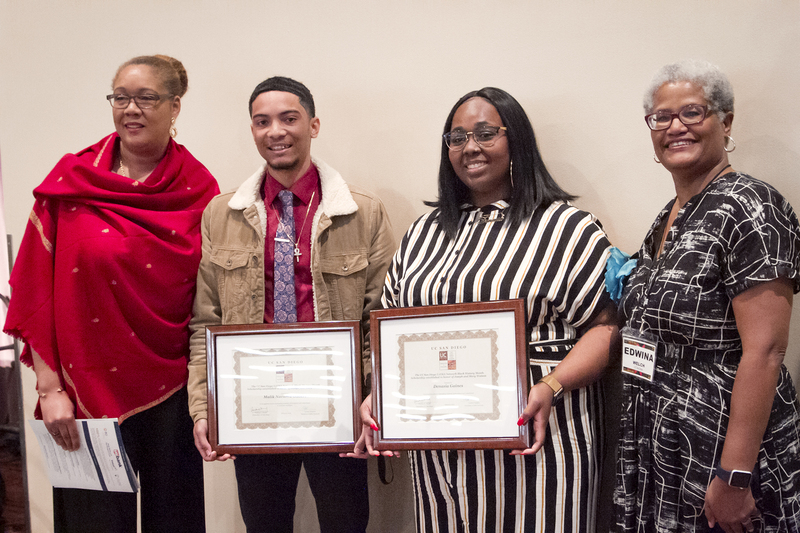 On Feb. 23, more than 275 campus and community members gathered for the 17th annual Black History Month Scholarship Brunch. Chancellor Pradeep K. Khosla welcomed all and congratulated the 2019 scholarship recipients, Malik Gilbert and Denasia Gaines. Both students are ethnic studies majors at Marshall College. 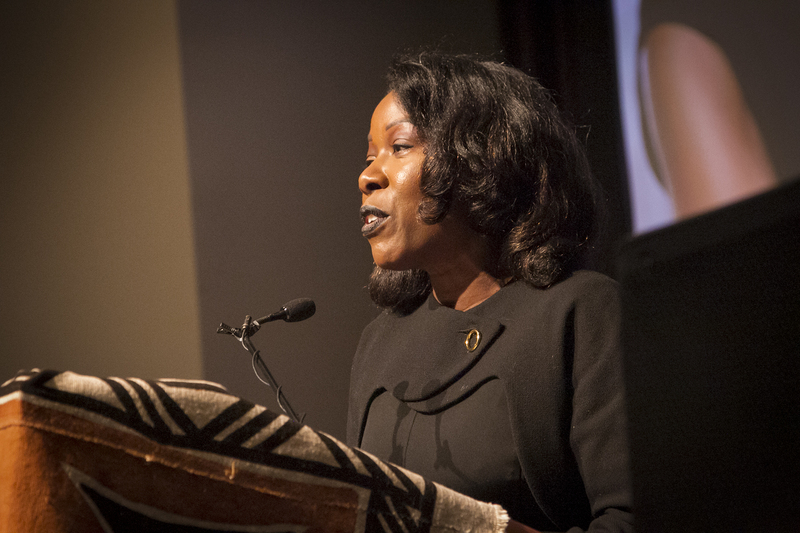 Pulitzer Prize-winning author Isabel Wilkerson delivered the keynote address at the brunch. The event featured a keynote talk by Isabel Wilkerson, a Pulitzer prize-winner and author of The Warmth of Other Suns: An Epic Story of America’s Great Migration. In addition, the brunch included a Southern-style soul food brunch, a live music performance by the Wildside Band and a silent auction—bringing in over $4,700. All proceeds from the silent auction go towards UC San Diego’s UJIMA Network Black History Month Scholarship, which supports undergraduate students demonstrating academic and creative achievement in the study of African Americans, their history and culture. 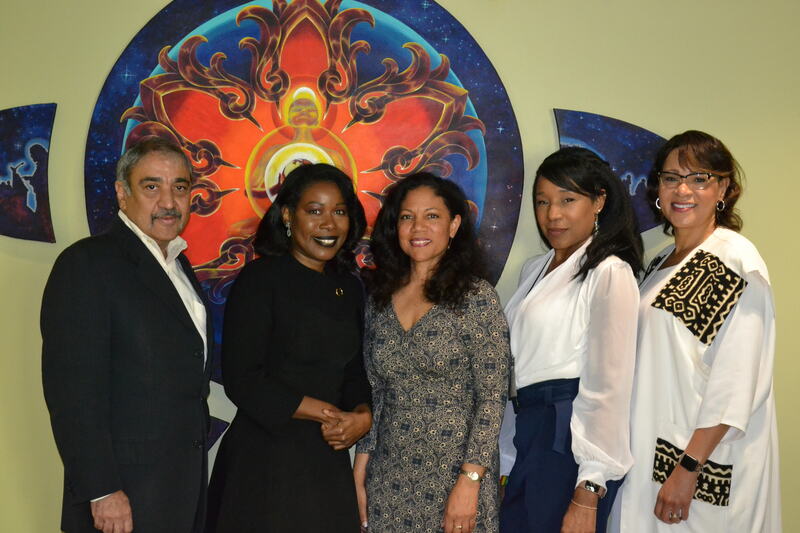 Chancellor Pradeep K. Khosla, author Isabel Wilkerson, Latanya West, Pamela Fruge and Vice Chancellor for Equity, Diversity, and Inclusion Becky Petitt.